This weekend was one spontaneous and fun weekend. Woke up on Saturday with a day trip to Rehoboth Beach thanks to hubby spur of the moment plans. This was our first time at Rehoboth beach and definitely not going to be the last. The beach is family friendly and relaxing. We had a blast especially Nolan who spent most of the day building sand castles and enjoying the game centers. Looking forward to enjoying the rest of the summer and more family vacations. 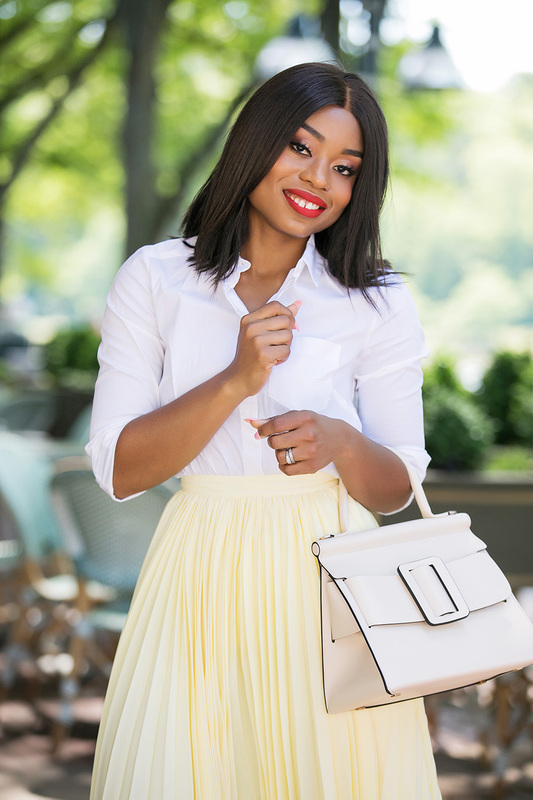 As summer temps continues to rise, light and fresh summer work outfits become a must-have for me. One of my go to summer work pieces are pleated skirts. 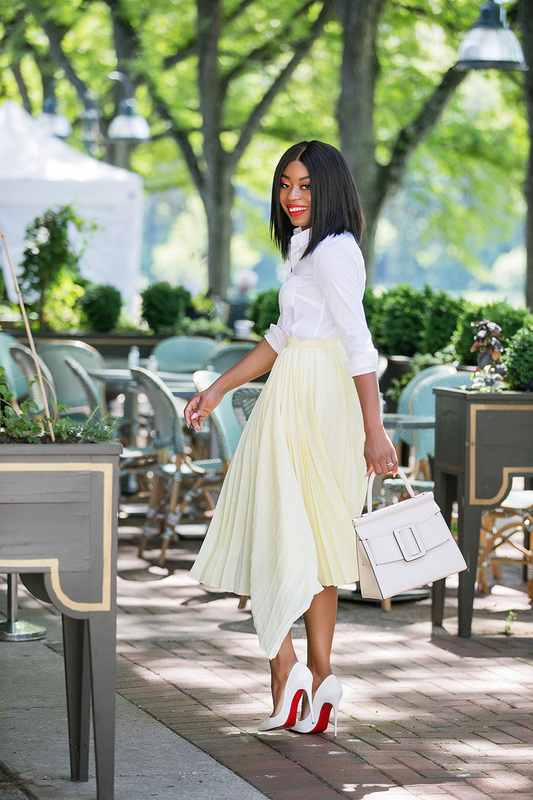 Pleated skirts have a feminine feel and can be worn to work and on weekends to events. Love the asymmetric hem details of the skirt...definitely a unique touch to a pleated skirt. Asymmetric details on skirts are becoming a summer staple. Love this polka dot asymmetric skirt...definitely on my shopping list! 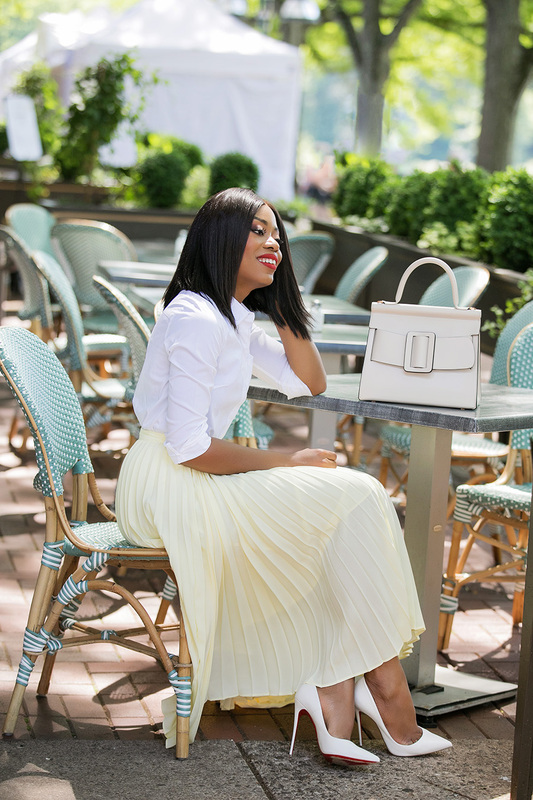 For this pastel asymmetric pleated skirt, I wanted to keep it neutral and light by pairing it with white and beige pieces. The white shirt and pumps complements each other while the beige Boyy bag tie all details and colors together and perfect bag for work. A lovely look for the Summer!